The Tarrytown Music Hall is owned, operated and loved by The Friends Of The Mozartina Musical Arts Conservatory, a 501(c)(3) not for profit organization. 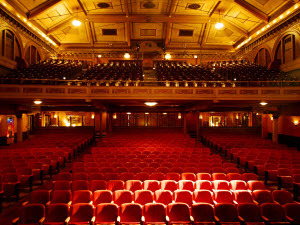 We exist to provide great arts and entertainment to Westchester and the surrounding region and to preserve, restore and upgrade our beautiful 1885 landmark theater. Donations made through our "Support the Music Hall" Campaign will be considered general, unrestricted funds, to be used for daily operations, maintenance or restoration.